This tutorial is going to show you how to hide word ribbon 2007so that you can enjoy a more distraction free working environment. 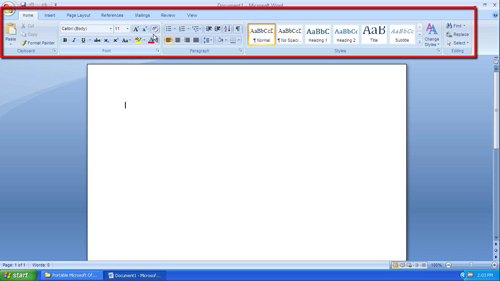 Start Word 2007. The ribbon bar runs across the top of the screen and contains the tabs “Home”, “Insert”, etc. 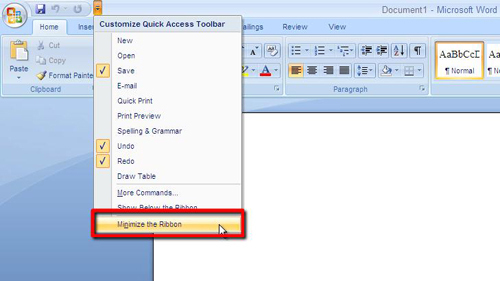 When learning how to hide word ribbon 2007Office makes the process very simple, all you have to do is right click anywhere in the ribbon bar and in the menu that appears click on “Minimize the Ribbon”. The ribbon will disappear. There is also an icon in the top left of the window, next to the undo icon, that you can click on and it will present you with a menu that also has an option to remove the ribbon bar. 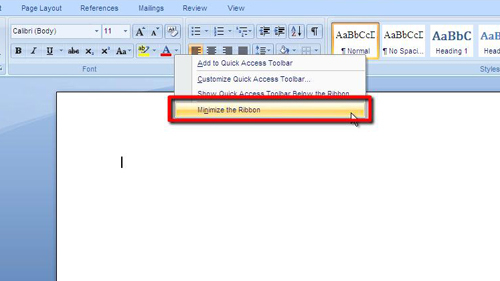 As before just click on this to remove it, click again to restore the ribbon bar to its original place.